Everybody on this planet loves diamonds, don’t we? There would not be a single person who has not even once fallen for the beauty of a diamond. You may own many diamond jewellery pieces but can you guess the cost of the rarest diamonds in the world? 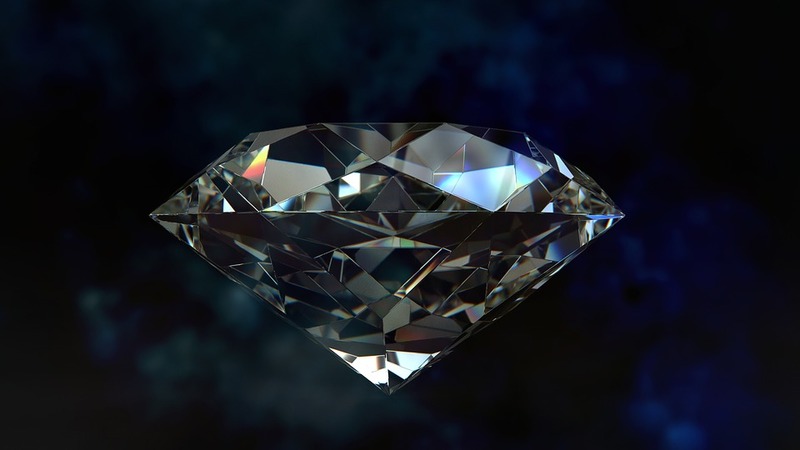 Here is the list of few rare and most expensive diamonds from different corners of the world. Red diamonds are the rarest diamonds in the world. People, especially scientist are always in search of red diamonds. 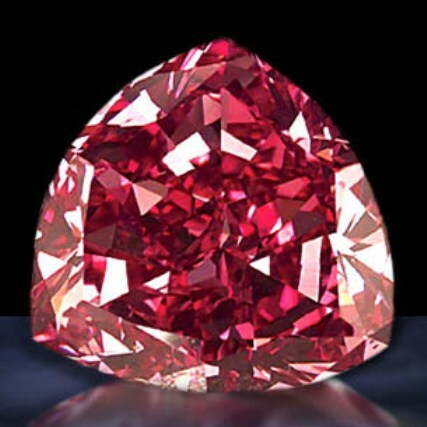 ‘The Moussaieff Red’, which is also known as the Red Shield is currently the largest natural-coloured fancy red diamond. It was graded by the Gemological Institute of America (GIA) and was discovered in Brazil in the 1990’s. It is a trilliant cut (a triangular brilliant-cut) diamond which weighs 5.11 carats. In 2003 and 2005, it was graded as internally flawless (IF) and was exhibited at the Natural History Museum of the Smithsonian Institution. Being displayed as part of eight most incredible diamonds in the world magnifies the greatness of ‘The Moussaieff Red Diamond’ in the diamond industry. Only 1% of all mined fancy coloured diamonds is represented by Blue diamonds. 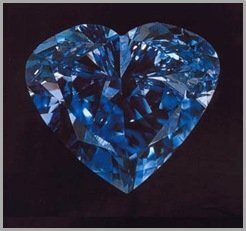 A fancy vivid blue diamond, ‘The Heart of Eternity’ was mined in the South African Premier Diamond Mine. Lack of grey or black undertones makes it an exceptional rare diamond. This stunning heart shaped stone was originally cut from a 777-carat rough diamond. The original owner of this beauty was the Steinmetz Group. But, in 2000 De Beers bought ‘The Heart of Eternity’. 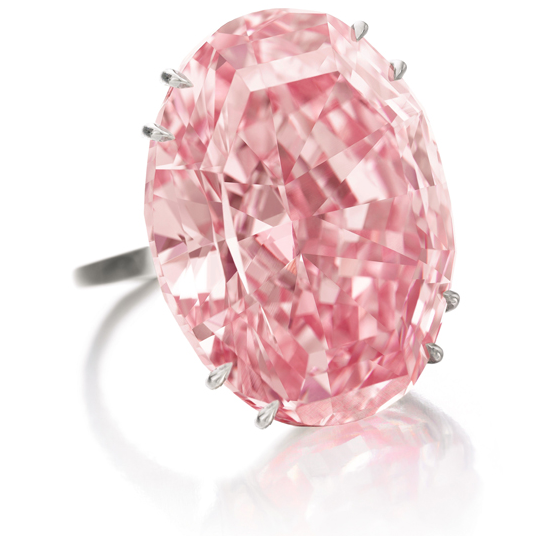 Christie’s (the auction store) sold ‘The Perfect Pink’ to an unknown bidder in 2010. 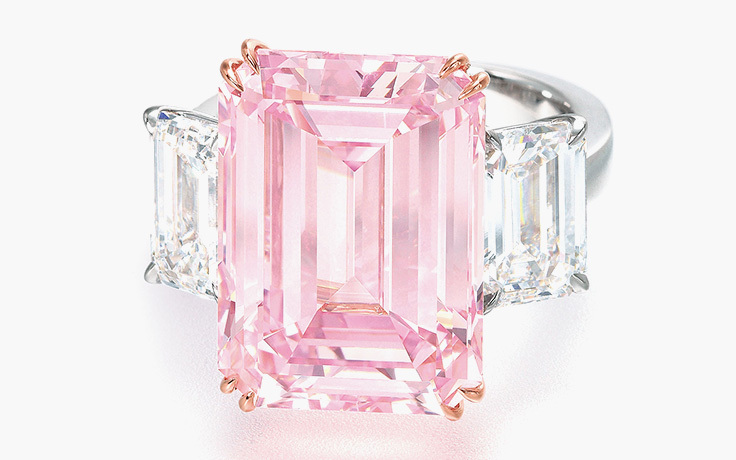 This Fancy Intense Pink is an emerald cut diamond and weighs 14.23 carat. Both its size and intensity of pink makes this gemstone a rare one. The Perfect Pink has a clarity grade of Very Very Slightly Included 2 (VVS2) due to slight internal blemishes, which is common in diamonds. 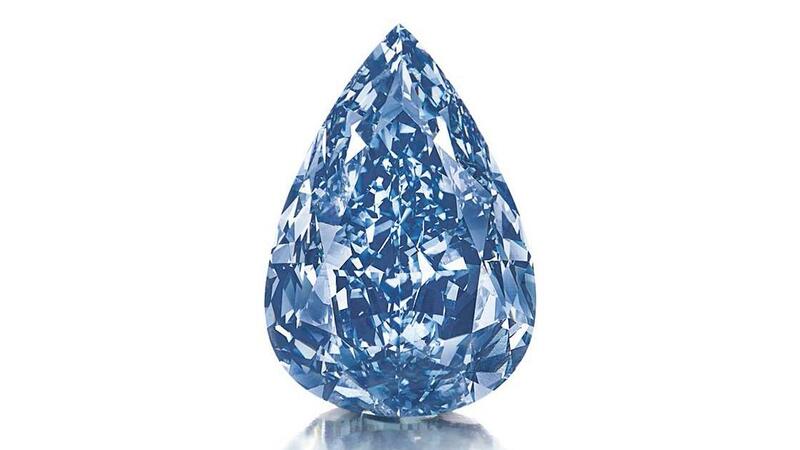 ‘The Wittelsbach Diamond’ originally weighed 35.56 carats. Later, in 2010 it was recut to 31.06 carats when it was passed from one European member of royalty to another. This fancy deep blue, internally flawless diamond made history with this moment. The Wittelsbach Diamond has belonged to both Spanish and German royalty since it arrived in Europe in the 1600s. The highly controversial recut in 2010 triggered backlash among the gemology community. But, the recutting did improve the colour and the clarity to fancy deep blue and internally flawless. ‘The Winston Blue’ was originally known as the Fancy Vivid Blue Diamond. In 2014, the diamond was renamed after Harry Winston, who purchased it. It is the largest diamond of its kind, said to be graded by the GIA and weighs 13.22 carat. This pear-shaped internally flawless diamond set a new world record for the price of a blue diamond per carat in 2014 with the cost almost $2 million per carat. ‘The Pink Star’ was mined in South Africa in 1999 and was originally known as the Steinmetz Pink. It is the largest diamond to have been graded a Fancy Vivid Pink. In 2017, Chow Tai Fook Enterprises from Hong Kong bought the Pink Star from Sotheby’s auction in a telephone bid. An internally flawless, oval diamond weighs 59.60 carats. It was later renamed to CTF Pink Star in memory of the current Chow Tai Fook chairman’s late father. 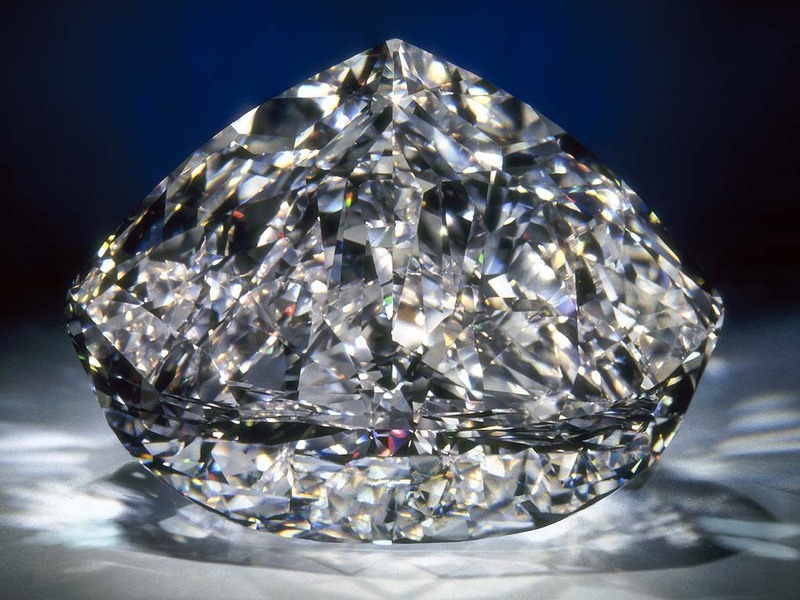 The original Centenary Diamond weighed over 500 carats. It was later cut and modified into a heart-shape, which weighed 273.85 carats. 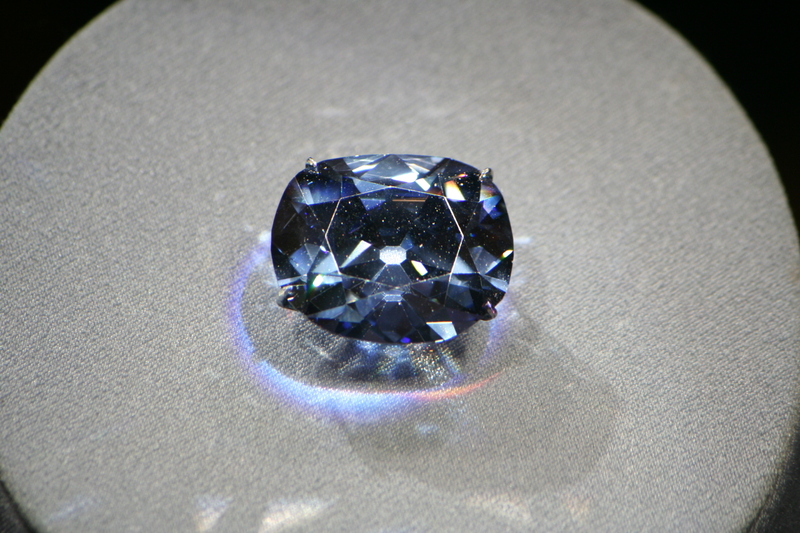 The sacrifice in the carat weight of the centenary diamond improved the colour and clarity grade of this unique diamond. The highly-skilled team took a total of 154 days to finish the re-cutting process. It was believed that ‘The Hope Diamond’ was discovered in India in the 1600s and later in 1668 it was bought by King Louis XIV. 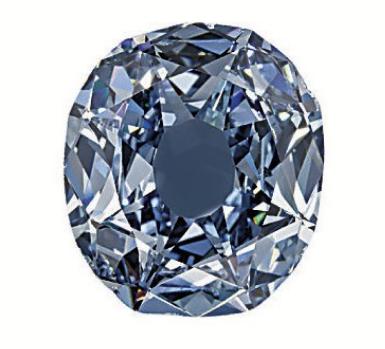 The Fancy Dark Gray-Blue antique cushion cut diamond weighed 45.42 carats and was stolen during a crown jewel looting in 1791 but resurfaced in London in 1839. In 1949, Harry Winston purchased ‘The Hope Diamond’ and donated it to the Smithsonian Institution. This beauty attracted many tourists but it is a rumour that the stone is cursed dues to the misfortune and tragedy that many of its previous owners experienced. The Koh-I-Noor is an oval-shaped diamond and weighs 105.6 carats. Steeped in mystery and legend, it is believed that the stone has been mined in India in the 1300s. The controversy behind this beautiful stone lies in claims that Britain stole the stone from India but, that it rightfully belongs to India. Rightly or wrongly, Britain acquired the stone in 1850. Later, in 1852, Prince Albert had it cut from 186 carats to 105.6 carats to increase its brilliance and sparkle. The colourless diamond is also known as the Diamond of Babur and Mountain of Light. 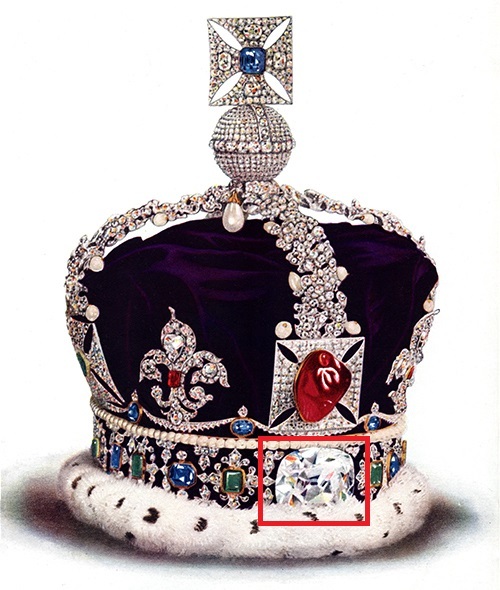 Nobody has come up with the perfect estimate of the Koh-I-Noor but, the diamond was a part of the Queen Victoria’s crown which roughly cost around $10 to $12 billion (Approx. Rs. 767,220,000,000).